A restaurant owner targeted by racist thugs in Belfast has said he hopes something positive can come from the incident. 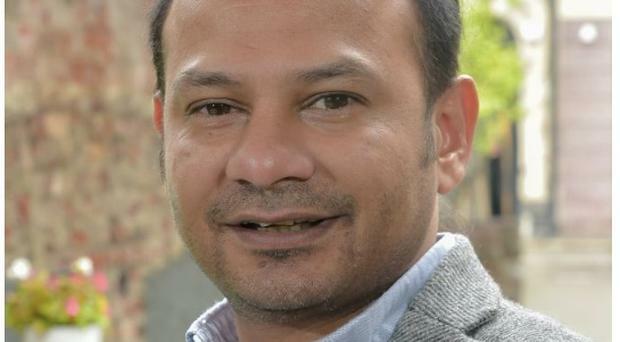 Ali Askir (46), owner of restaurant SAFA and founder of the Irish Curry Awards, was driving through the Village area of south Belfast on Saturday afternoon at around 4pm on his way to get his MOT done when a group of football fans began racist chanting of 'p*** Irish b******'. One member of the group even attempted to open the door of his car. "The vast majority of people were going by and getting into their cars with their children and wives and families. It was a just a handful of people," Mr Askir told the Belfast Telegraph. "One or two of them just got started and the rest joined in. "Some of them were quite detailed in what they were saying. They were saying, ‘oh we see that car around all the time. We’ll burn it, we’ll kill you." While the individuals involved appeared to be football fans, Mr Askir said he was keen people should not focus on this. "The vast majority of people who go to Northern Ireland football matches they are just like you and me. It is only a small element. Regardless if they were wearing a GAA t-shirt or a Northern Ireland t-shirt the bad apples are always going to be bad, no matter where you put them," he said. Since coming to Northern Ireland in 1989 he said he had been subject to a number of racist incidents, but had learnt to deal with them in a different way over time, and hoped there was an opportunity to "educate those responsible in their opinions about ethnic minorities and how life works". "I think we should highlight these things in a positive way, so people can learn and the younger ones behind us can learn," he said. "As you know Northern Ireland is very multicultural at the moment and tolerance has to be there to live side-by-side. For me to share my experiences will hopefully lead to a good outcome in the future." Police confirmed on Sunday they had launched a hate crime investigation into an incident of racial abuse in the Donegall Avenue/ Kitchener Street area near to Windsor Park. Northern Ireland had earlier been defeated by Bosnia and Herzegovina in a home game at the stadium. Following the incident, Mr Askir wrote on Twitter: "I’m not to sure after today’s incident whether I’m glad to be in Belfast or not, racial chanting simply because my motor says Irish Curry Awards, hear is new one for me p*** Irish b******." Mr Askir received support on social media with the official account of the IFA inviting him to be a VIP guest at Northern Ireland's game against Austria. He confirmed he would be taking up the offer to attend the match. Ali - no-one should ever have to suffer racial abuse. What happened to you sounds dreadful and we condemn such behaviour. We will be in touch directly to invite you to be our VIP guest at our game against Austria. Every one of our real fans will give you a warm welcome. Responding to Mr Askir's post, loyalist blogger Jamie Bryson wrote: "This is totally wrong & not reflective of NI fans. I’ve a spare ticket for Tuesday night if you’d like to come along to the game - hope you’re ok."
He added that any threats were "totally wrong, cowardly, and unacceptable".